"Graduates Ascend the Stairs, Commencement ca. 1940s - 50s"
Taken during Commencement. 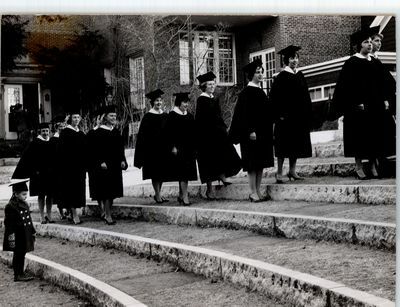 A row of graduating students walk along the stairs outside of White Hall. A little girl in a mini cap and gown follows closely behind.